Planning for agricultural adaptation and mitigation has to lean on informed decision-making processes. Stakeholder involvement, consensus building and the integration of comprehensive and reliable information represent crucial, yet challenging, pillars for successful outcomes. 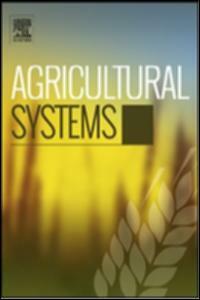 The spatially-explicit multi-criteria decision support framework “targetCSA” presented here aims to aid the targeting of climate-smart agriculture (CSA) at the national level. This framework integrates quantitative, spatially-explicit information such as vulnerability indicators (e.g. soil organic matter, literacy rate and market access) and proxies for CSA practices (e.g. soil fertility improvement, water harvesting and agroforestry) as well as qualitative opinions on these targeting criteria from a broad range of stakeholders. The analytic hierarchy process and a goal optimization approach are utilized to quantify collective, consensus-oriented stakeholder preferences on vulnerability indicators and CSA practices. Spatially-explicit vulnerability and CSA data are aggregated and coupled with stakeholder preferences deriving vulnerability and CSA suitability indices. Based on these indices, relevant regions with the potential to implement CSA practices are identified. “targetCSA” was exemplarily applied in Kenya exploring group-specific and overall consensus-based solutions of stakeholder opinions on vulnerability and CSA under different consensus scenarios. In this example, 32 experts from four stakeholder groups who participated in two surveys were included. The subsequent analyses not only revealed consistently regions with high CSA potential but also highlighted different high potential areas depending on the applied consensus scenario. Thus, this framework allows stakeholders to explore the consequences of scenarios that reflect opinions of the majority and minority or are based on a balance between them. “targetCSA” and the application example contribute valuable insights to the development of policy and planning tools to consensually target and implement CSA.